Fulfillment.com is an order fulfillment service that provides storage and shipping solutions to many businesses worldwide. Its cloud-based platform enables users to monitor their shipment in real-time, giving them control of their products throughout the entire process. In this article, we cover user reviews. Ready to get started with Fulfillment.com? Contact their support team to get a free quote. Users who gave Fulfillment.com a positive review like the company’s customer service as it focuses on ensuring that client instructions are met and their logistic needs are well taken care of. Others also appreciate how they can easily integrate it with many CRM applications, which streamlines their business processes. One user who gave Fulfillment.com a positive rating on WebRetailer said that the service shipped his packages on time. He added that the Account Manager assigned to him is very hands-on and is professional in dealing with his issues. As of the date this article was written (11/05/18), there are no negative reviews of Fulfillment.com available online. If you are a past or current Fulfillment.com customer, leave a review to help other business owners who are deciding whether or not to use Fulfillment.com. Fulfillment.com doesn’t publish their prices on their website. However, according to a third-party source, it charges $10/month for basic services. Ready to get started with Fulfillment.com? Contact their support team to get a free quote. Order Fulfillment Services: Who’s the Best Fulfillment Company — In this guide, we compared the services of four fulfillment companies: ShipBob, FulfillmentCompanies.net, Fulfillment.com, and Fulfillment by Amazon, and showed you how to assess your business’ fulfillment needs to find the right fit. Fulfillment.com is used by small to large-sized eCommerce businesses around the world. What level of support does Fulfillment.com offer? Fulfillment.com offers live chat, chatbots, and social media platforms as support for their clients. 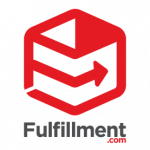 Not sure if Fulfillment.com is the right fit for you? Read our reviews of all top order fulfillment services providers.